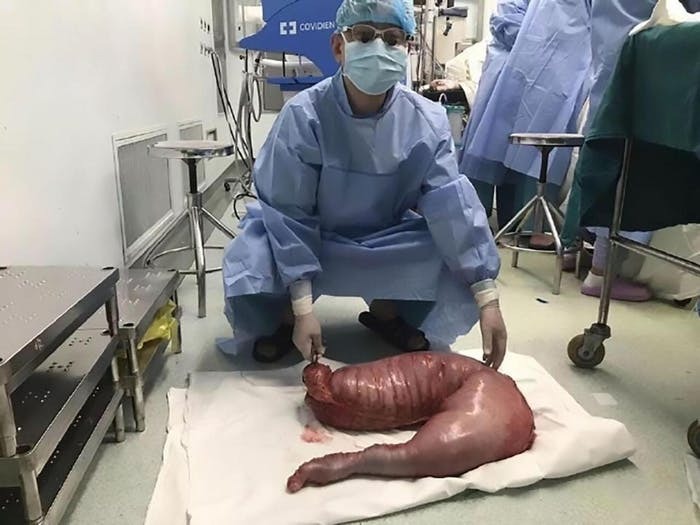 Surgeons have removed 13kgs of feces from the bowels of a man was constipated since birth. The unnamed 22 year old underwent the procedure at Tenth People’s Hospital of Shanghai in China. He had a grossly enlarged bowel. According to reports, the man might have had the rare Hirschsprung’s disease which causes the bowels to swell because the nerves that are supposed to control the gut are missing. According to one of the doctors, the man looked like he was ‘more than 9 months pregnant’. “It looked like it could explode at any time,” said Doctor Lu. The patient said he had always suffered from constipation and used laxatives, but those only offered a brief relief. He finally went to the hospital so doctors could relieve him of his symptoms. 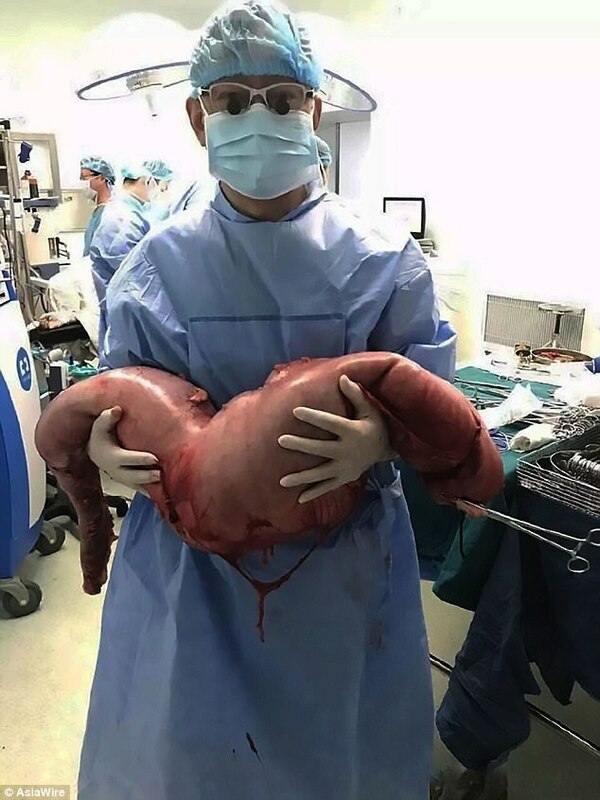 After a 3 hour procedure, doctors successfully removed the affected portion of his colon, and he is expected to make full recovery. A person’s digestive tract typically moves food and waste through the intestines with a process known as peristalsis: involuntary waves of muscle contractions that push stuff through. But for a person with Hirschsprung’s disease, peristalsis halts at the portion of the bowel where there aren’t nerve cells. Because there are no nerve cells to signal muscles to move, a person’s feces simply ends up sitting there, causing uncomfortable constipation, which can lead to megacolon and an infection called enterocolitis. Parents usually notice symptoms of Hirschsprung’s disease in their infants early, typically when a newborn baby hasn’t had a bowel movement for 48 hours since birth. In the case of the 22-year-old Chinese man, his parents didn’t think that his condition was serious, so he never received the medical attention he needed. By the time he arrived at the hospital, he was so weak he could barely walk or talk. His skin was so stretched it was shiny.